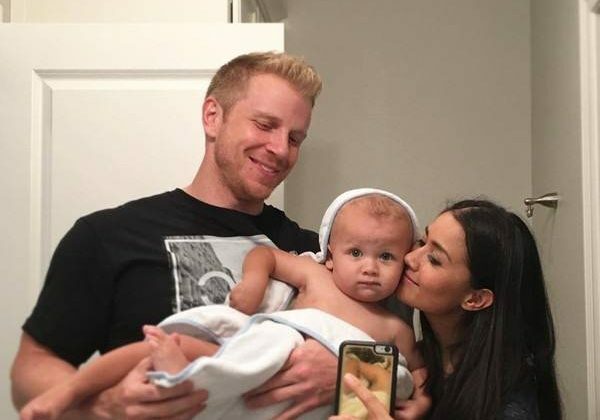 Sean Lowe and Catherine Giudici‘s son has been hospitalized. In the post, the father-of-two shared that Isaiah was diagnosed with bronchiolitis, which is when there is inflammation of the bronchioles in the lungs. Unfortunately, this means Isaiah’s “little body is having a tough time getting enough oxygen,” Sean said. Bachelor & Bachelorette Status Check: Find Out Who’s Still Together! The reality TV couple welcomed Isaiah in May and have been enjoying life with two kids. As for Isaiah’s older brother Samuel, he loves being a big brother. “We weren’t sure how this would all shake out, but he’s very loving. I think the first time that he saw Isaiah in the hospital, we said, ‘Go and kiss your brother,’ and he walked over and kissed him and everyone in the room was like, ‘Aw.’ And you could see Samuel’s face light up like, ‘Wait a minute—they like it when I do this,’ so now he just kisses him about 100 times a day,” Sean once told E! News. We wish Isaiah a speedy recovery!